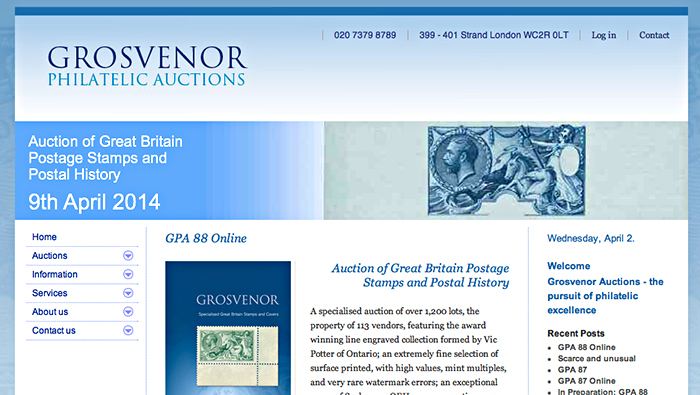 Grosvenor Auctions is a leading philatelic auctioneers with an international client base. The philatelic market is surprisingly large for a hobby that many assume was discontinued 50 years ago. The market is certainly much smaller than the financial markets but it is not trivial. It has been estimated at £7 Billion. In a 2007 interview, Mike Hall of Stanley Gibbons estimated that “About $1 billion of rare stamps trade annually in the $10 billion-a-year stamp market.” The number of collectors worldwide was estimated at 30 million in 2004 but five years later Stanley Gibbons re-estimated the figure at 48 million including 18 million in China. 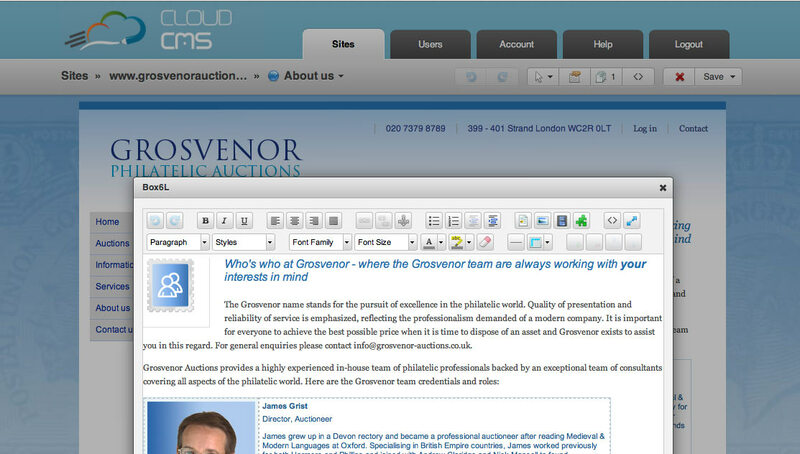 Grosvenor auctions needed three things from their site. 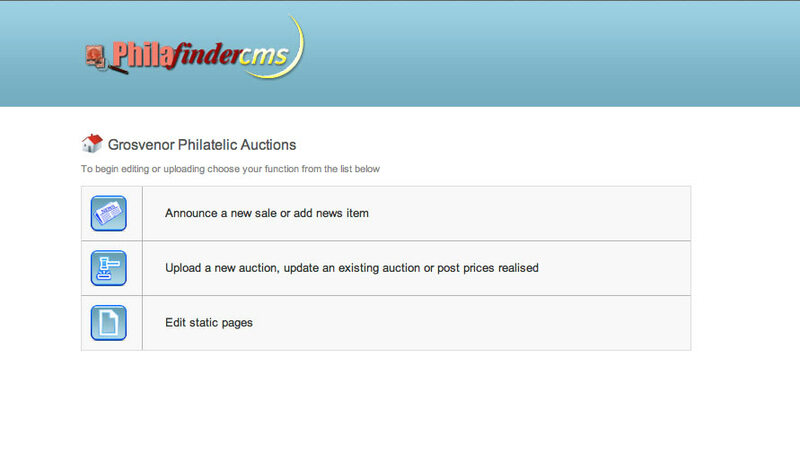 A clean easy to navigate interface, suitable for its older client base, a heavy duty back-end database able to cope with hundreds of thousands of records of both current and historic sales and an easy to use Content Management System (CMS) to manage all aspects of the site. An extremely complex job that required creating a database system to collate and display a diverse set of variables around the lotted vendor material, provide extensive search facilities and then to allow seamless updating by any staff member even those with minimal amounts of computer expertise. Built with a WordPress front end for news page management, a bespoke CMS for remote authors and a specially developed ‘wizard’ to interface with the horribly technical MySQL database. The end result is a system that hides its complexity enabling fast website changes to be made easily and quickly.